The Millikin University Big Blue Men’s Soccer November ID Camp is a 6-hour training program on November 12 in Millikin University campus. It is inviting all high school male soccer players in grades 9 up to 12. The camp provides an opportunity for outstanding players to be a part of the Big Blue men’s soccer team. In addition, it immerses the participants to a collegiate level training and competition. Its goal is to develop the player’s technical, tactical, and teamwork awareness. Check-in starts at 8:30 AM while the program proper starts and ends at 9:00 AM and 3:00 PM. This event is an initiative of the Big Blue men’s soccer coaching staff. Millikin University is a private, coeducational, comprehensive university in Decatur, Illinois. It is a member of the Association of Presbyterian Colleges and Universities. The university has an accreditation from the Higher Learning Commission since 1914. It is notable for its high-quality education. As a matter of fact, Millikin University is 11th in Regional Colleges Midwest, 2018 edition of Best Colleges rankings. The university is also 33rd in the Best Value Schools rankings. Currently, the university is nurturing around 2,000 undergraduate students and 200 postgraduate students. The student to faculty ratio is 11:1 with an acceptance rate of 64 percent. Millikin University’s athletics teams are competing in the College Conference of Illinois and Wisconsin of NCAA Division III. Their nickname is Big Blue with blue and white as their official colors. Chad Jones is the head coach of the Millikin University’s men’s soccer team since March 2011. Under his leadership, the Big Blue men’s soccer has already CCIW postseason tournament appearance. Coach Chad Jones is the 2014 College Conference of Illinois and Wisconsin Co-Coach of the Year Awardee. He is also a USSF National B License holder. Then, the team’s assistant coaches are Tucker Mathieson and Matt McCarty. Coach Mathieson is the former team captain of the Big Blue men’s soccer squad. Meanwhile, Coach McCarthy is also the assistant coach of the women’s soccer team. 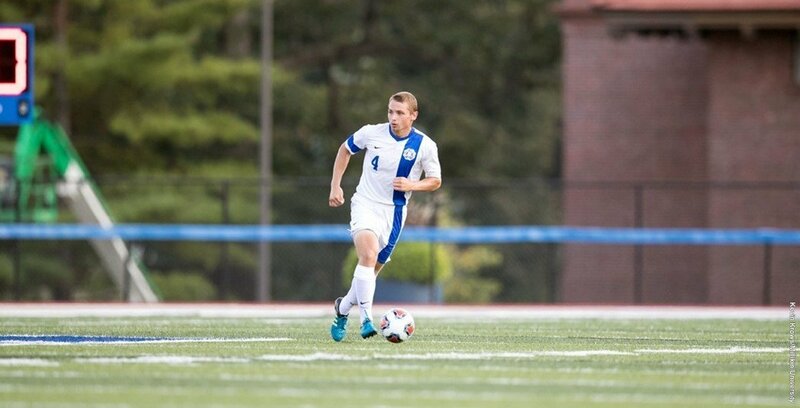 The Millikin University Big Blue Men's Soccer November ID Camp is a 6-hour training program on November 12 for male soccer players in grades 9 to 12.